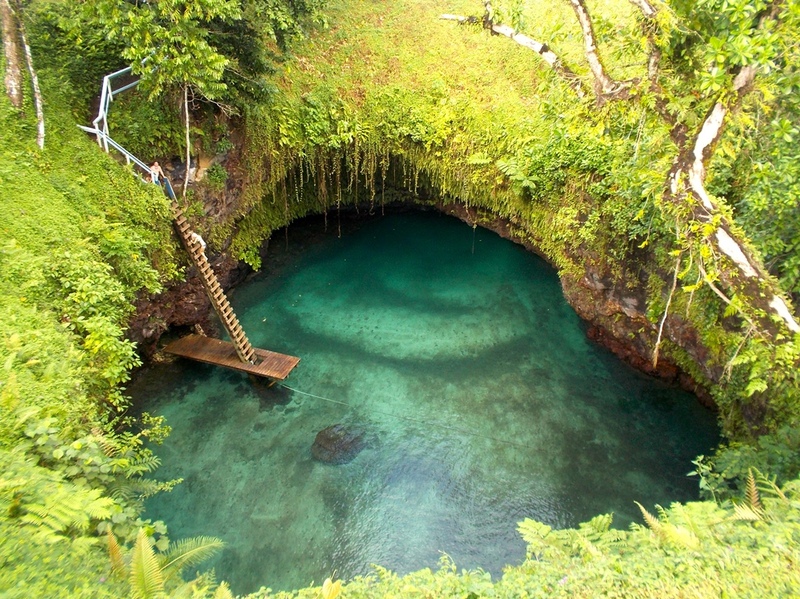 “Sua Ocean Trench” The Most Magical Swimming Pool in the World? 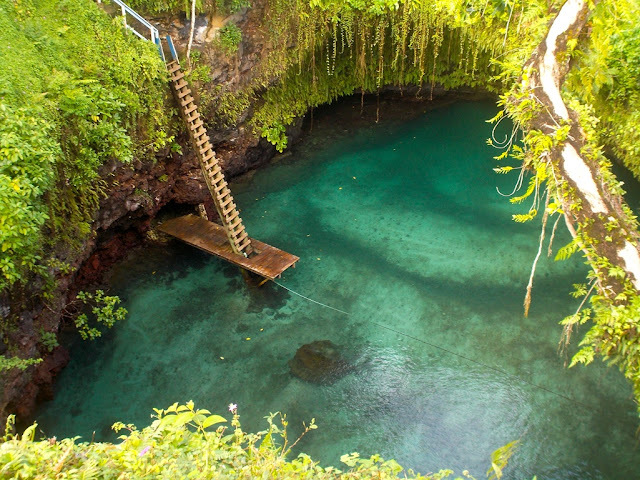 The mesmerizing natural swimming pool is almost 100 feet down, on a volcanic Samoan island offers tourists to the ultimate experience in relaxation. 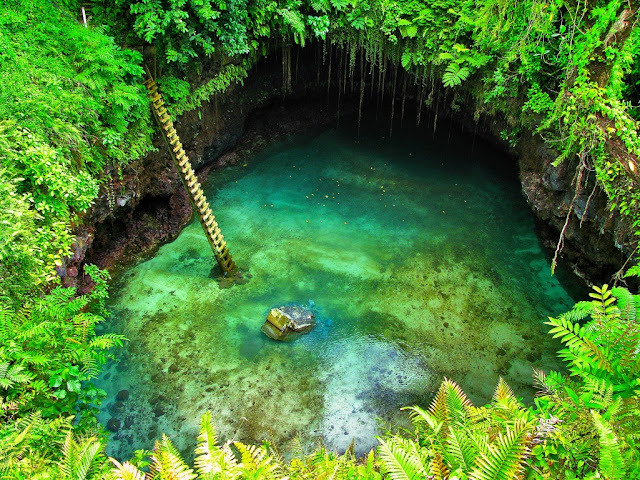 The “big hole” hidden in a grotto on a volcanic island actually to Sua Ocean Trench, which literally translates as “big hole”' is located in Lotofaga village, on the south coast of Upolu island in Samoa. 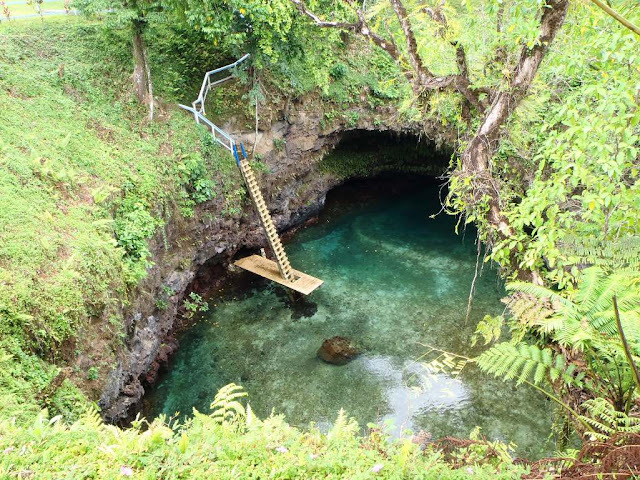 When the volcanoes erupted on the island, much of the ground fell away, and this 98-foot deep hole was the result. 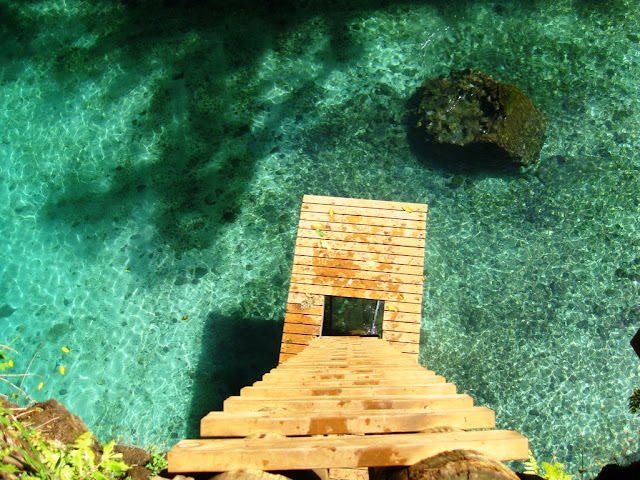 Tourists can relish crystal-clear waters populated with tropical fish and a sandy bed, and its natural beauty increase further by a steep ladder leads down to the water, with travelers using it to dive into the pool or use as an impromptu diving board providing the water levels are high enough. Moreover, for those who’re not brave enough, a tumble in from a board a matter of inches above the water may be the safer option. The magical green landscape is matched by crystal clear waters, a plenty of tropical fish and a sandy bed. 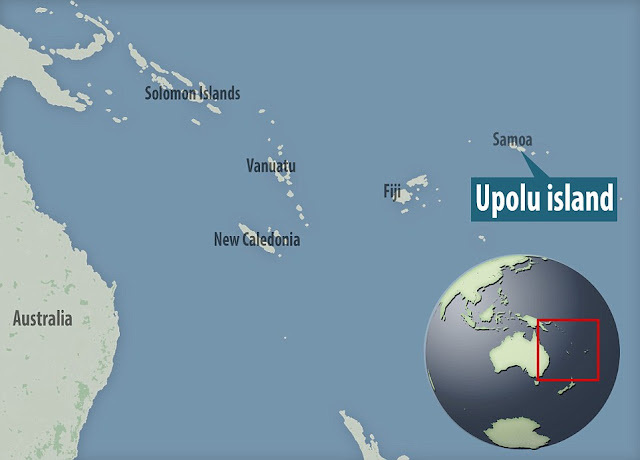 A series of canals leading from the pool to the South Pacific Ocean ensure the hole is never dried out. The majestic natural beauty of Samoan spot has not been lost on most who have visited it already. 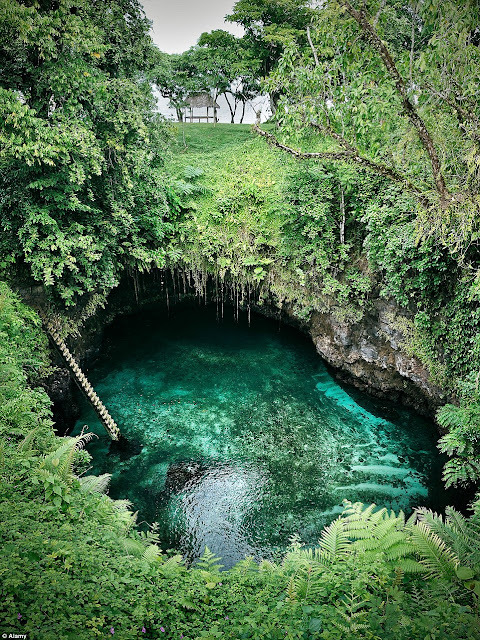 In order to protect the serene spot, as well as preserve the safety of the tourist routes into the water, there is a charge you have to pay for swim. It will cost for adults £10 ($15), children £3.85 ($6.00), but is free to those under the age of seven. For those who’ve traveled the spot, had great experience and says; To Sua is one of the most unique, relaxing places that ever have been to. When they went there was no rush and it was very peaceful place. 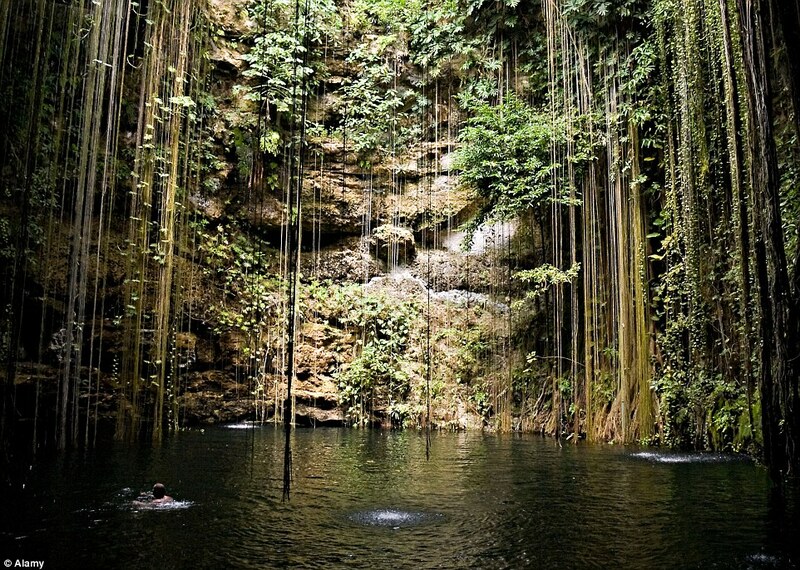 A visitor says this is truly a magical experience, swimming at the bottom of the grotto. 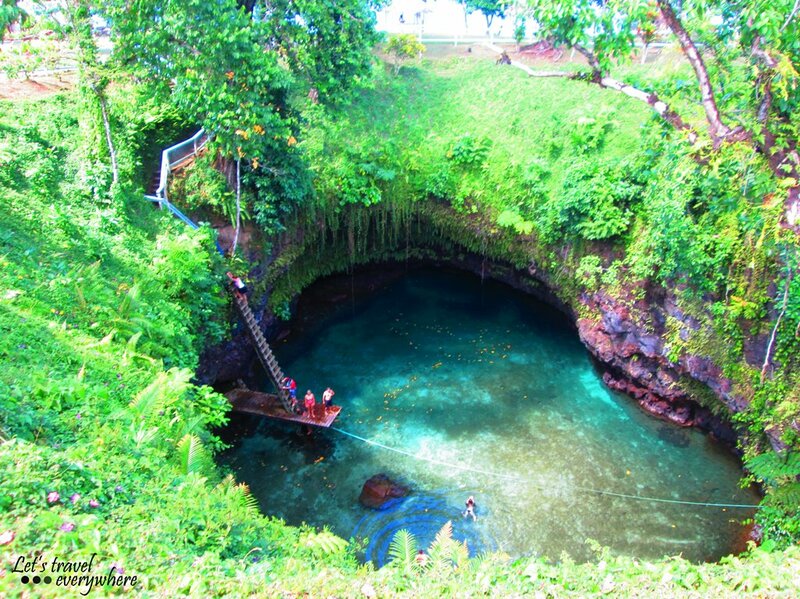 However, if you’re an expert swimmer, you can even swim underneath the rock tunnel and out to the ocean. He further added that we visited the trench in May and unquestionably loved it, the spot is so striking and the water is warm and clear. We’re highly recommended a must visiting place to see the paradise on earth. Therefore tourists to the trench are carefully warned to take care when walking down the ladder, as expectedly, it can become slippery. 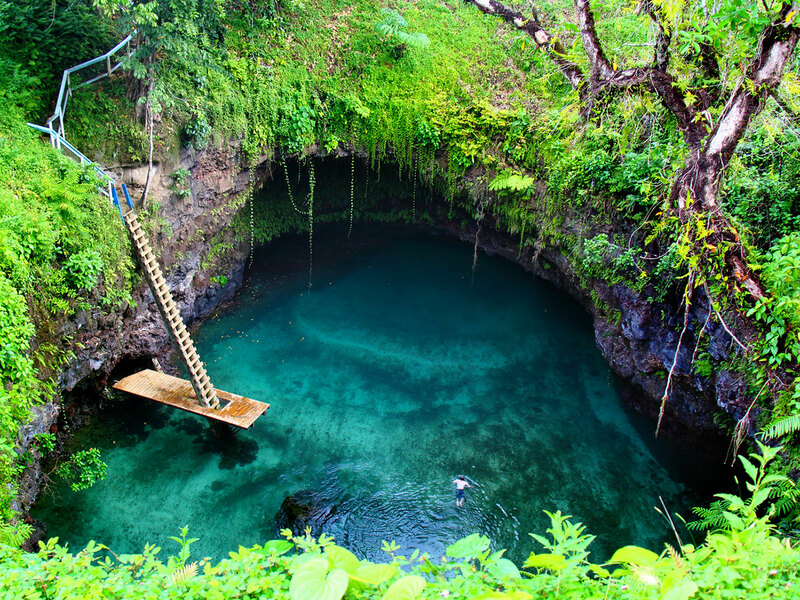 Well, climb down looks bad but if you take your time and wear sandals it's ok. 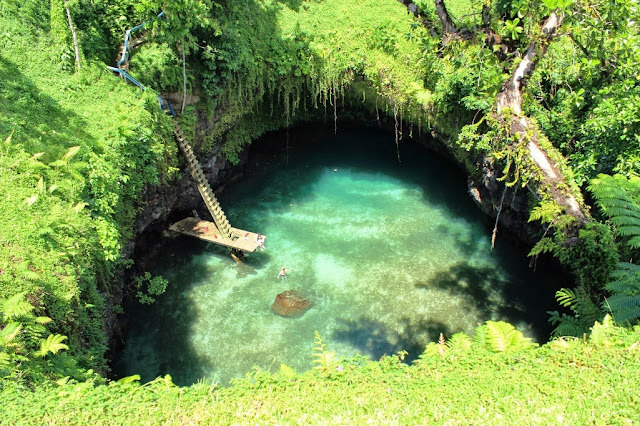 There is a review on website has scored To Sua Ocean Trench a four-and-a-half rating out of five based on visitors' reviews. Of the 401 people to have commented on the tourist attraction, 319 have rated it as 'excellent.' Furthermore, other spectacular natural swimming pool around the world includes Iceland's famed Blue Lagoon geothermal spa and the travertine pools and terraces in Pamukkale, Turkey.